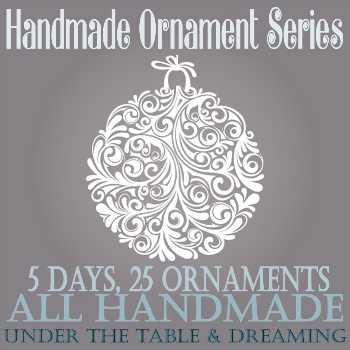 The wonderful idea of a handmade ornament is it can be passed down from generations to generations. Made from love, each time your loved ones unpack the box of decorations, and decorate the tree, the ornament you made with your own hands, becomes a cherished gift for years to come. 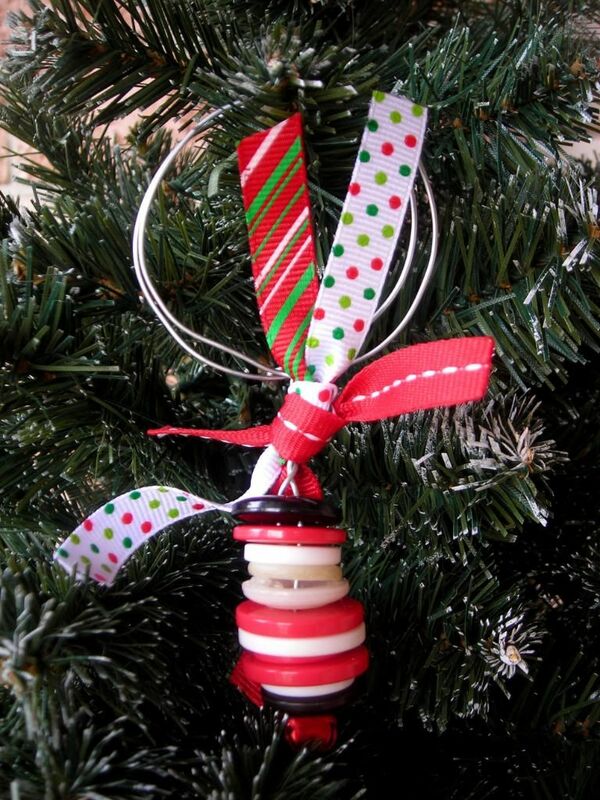 The button ornament is such a simple and easy ornament to make. 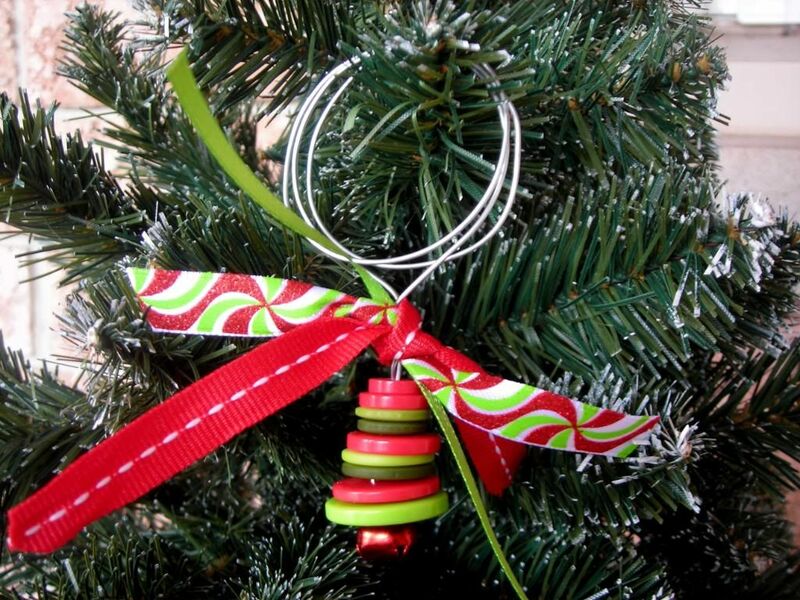 With the most minimal supplies, you are able to create something really cute to give away or keep for your own tree. I find if I buy my wire in long lengths, I can just fold them evenly in half. I purchase mine at Michael’s, but any craft store or florist store would carry them. Lightly crimp the folded end together with your needle nose pliers. 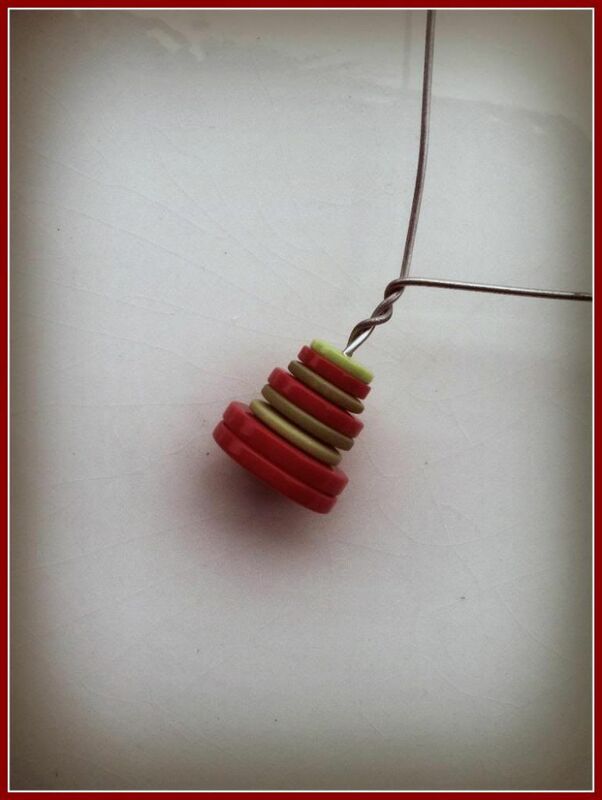 Begin stringing your buttons onto the wire. I use buttons that are two holed but if you are using four holed buttons, just thread opposite corners of the buttons to keep an even centered feed. 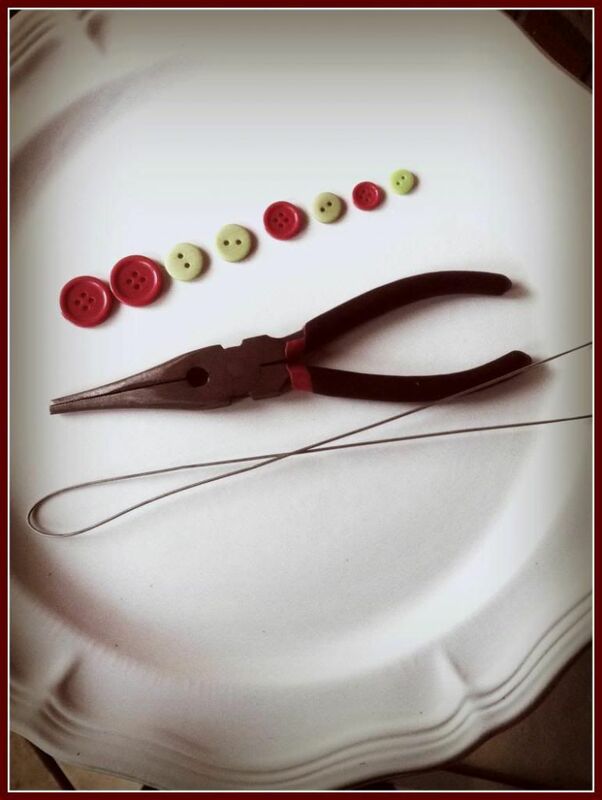 Start with your largest button first and work your way threading, from the largest to the smallest button. Feel free to vary your colour choices. Wrap the two ends of wire around something that will give you the circle size you are looking for. 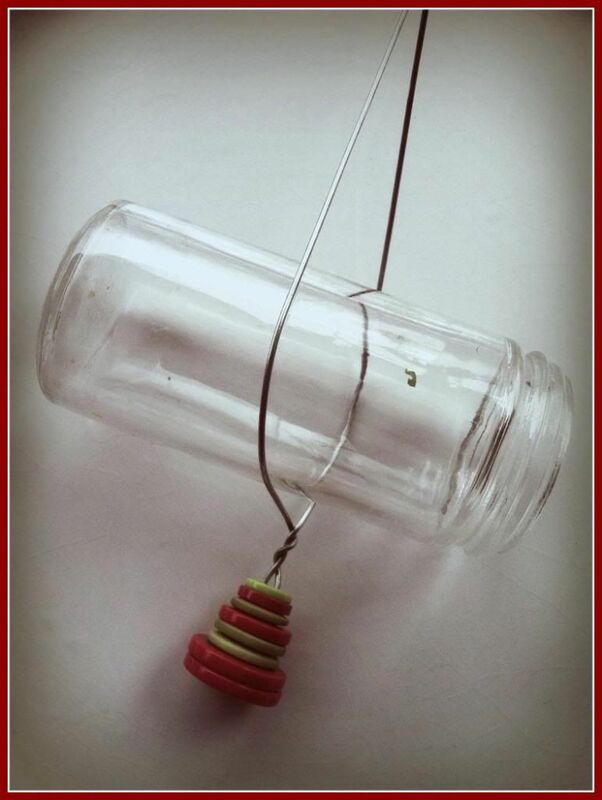 I sometimes use a spice jar or a plastic cup that you get with craft buttons. You could also use a shot glass or even a big barrel curling iron end. Bend each end with your pliers to make hooks and join together. Clamp the ends to make it secure. If you circle looks a bit like an egg you can reshape into a circle with your fingers. 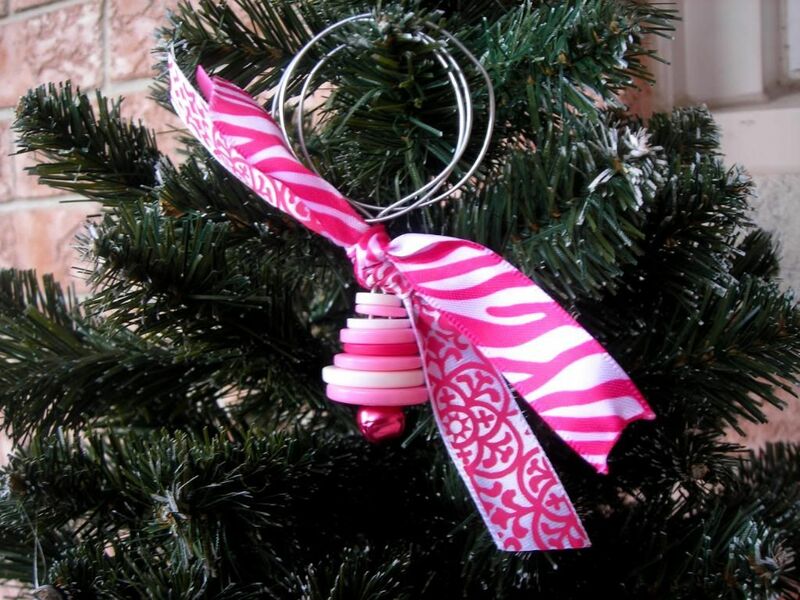 Add ribbon, ric rak or lace to dress up the top of the ornament. Choose ribbon colours with different texture to give it some character! 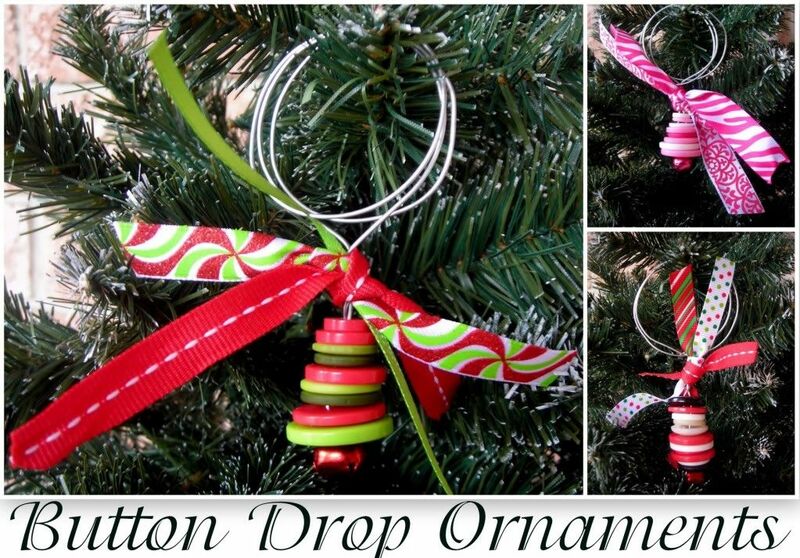 Making these ornaments would be a great way to spend some quality time with family this holiday season! Get your girlfriends together, combine your most favourite buttons and have and enjoy your day! Thanks so much Melissa for sharing these adorable button ornaments and contributing to this years series. These are so cute. I love buttons so these would be great on my tree. Simply gorgeous! 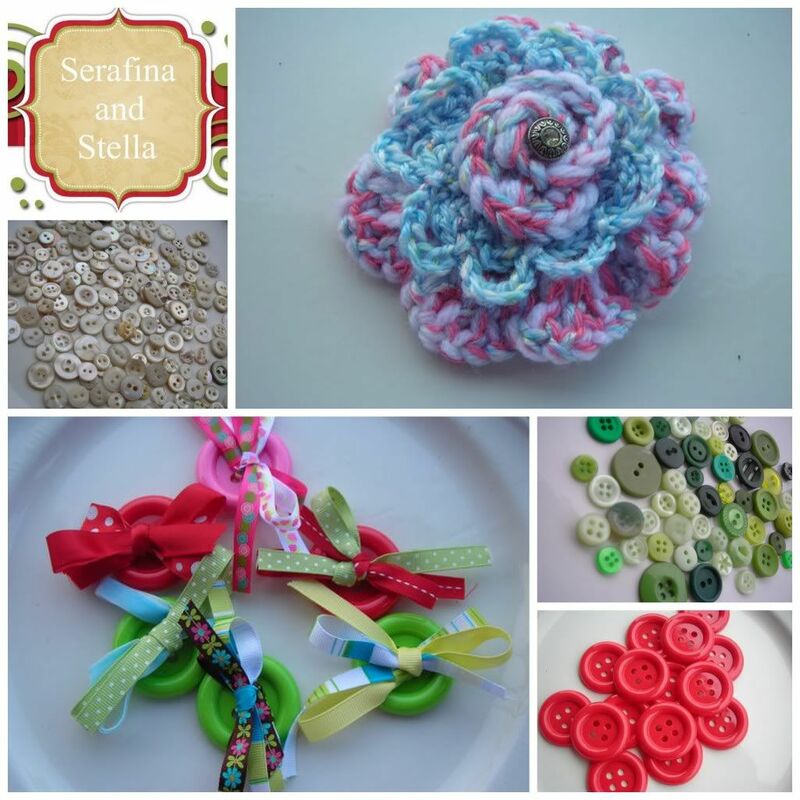 I added a link to my Button Crafts article on Squidoo. Thanks for these simple but wonderful projects. I have a friend who has a ton of buttons she inherited from her mother. My friend doesn’t sew or wear jewelry or make cards, but wanted me to do something with the buttons for her. This will be included in the ideas for her to choose from. I’ll be using some of my button stash, too. So cute!! I love these ornaments! I will have to keep them in mind for next year. I would put them on all the packages!! 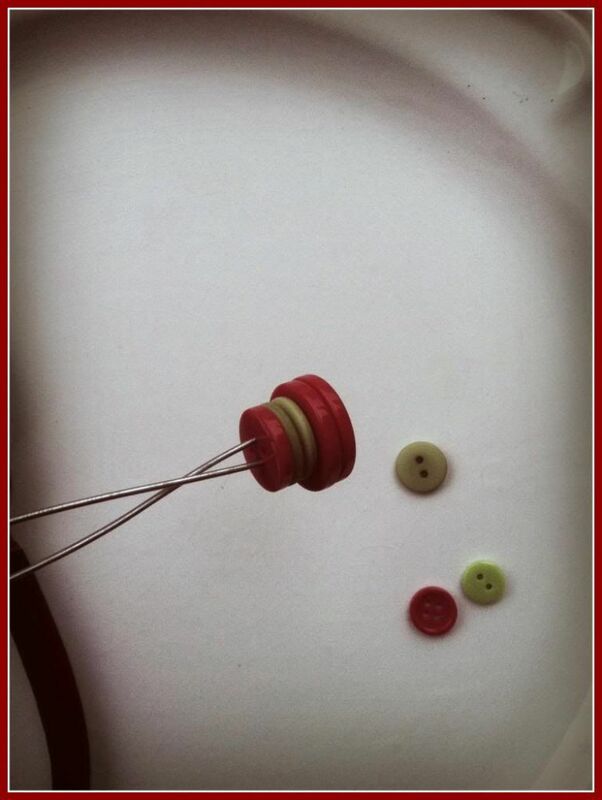 These button ornaments are just darling. I love these! I decided to use ornament hooks to make them easier for kids to do on their own, and use pipe cleaners for the younger children.